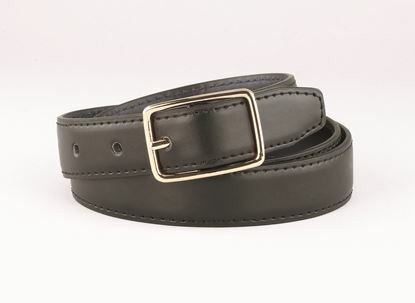 1" Leather Reversible Belt with gold buckle. Available in black/navy or black/brown. For black/brown see item FB33R.